After serving as the standard since shortly after its release in 1992, Silicon Graphics' OpenGL API has been responsible for some of the sleekest looking gaming experiences across any number of platforms. Unfortunately, given its age, it's also been the source of some fairly hefty criticism when compared to Microsoft's frequently revised DirectX and Apple's recently implemented Metal APIs. That's where the Khronos Group comes in. After obtaining the OpenGL standard back in 2006, the company has been hard at work on contriving a low-level successor that works in conjunction with the antiquated API. Vulkan, which we initially reported on last year when it arrived to Android, has finally emerged out of beta, complete with a version 1.0 naming convention. Additionally, it now boasts support for any GPU featuring OpenGL ES 3.1 or 4.x and running Windows XP or newer, SteamOS, Ubuntu, Red Hat, Tizen, and Android. Based on AMD's Mantle low-overhead graphics API, Khronos proclaims that Vulkan will make it possible for developers to take advantage of the GPU in conjunction with several CPU cores. Notably, the company points out that while that isn't impossible in current OpenGL builds, it's far from easy to accomplish. Furthermore, Vulkan will reportedly add "simpler, more predictable drivers" in addition to streamlining portability between platforms. However, as Nvidia VP and Khronos Group president Neil Trevett adds, the objective of Vulkan isn't to replace OpenGL as much as it is to improve it. Instead, he claims, Vulkan "provides another choice for developers," clarifying that "In the right hands, Vulkan's multi-threading and explicit resource management can enable a new class of smooth, high-performance engines and applications." 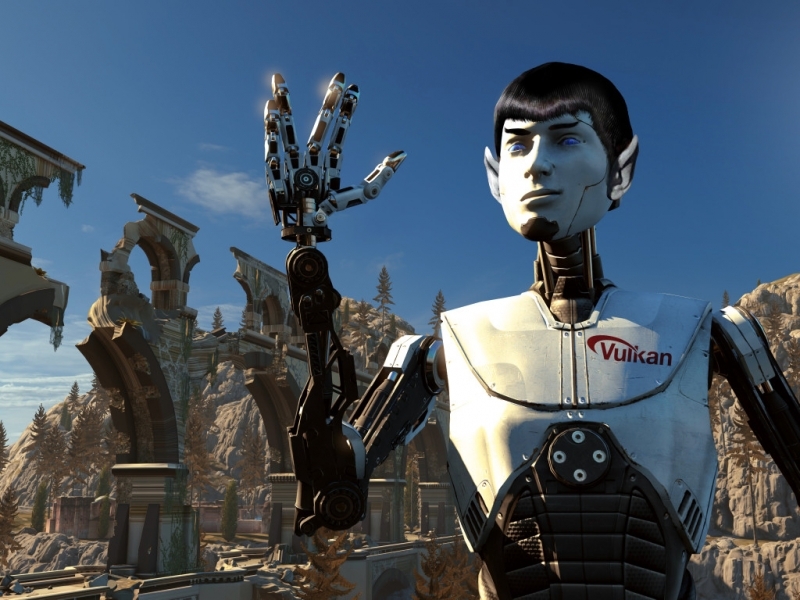 If you want to experience the difference in Vulkan for yourself, apparently The Talos Principle from Croteam will be one of the first games to bear support for the API, albeit senior programmer Dean Sekulic has been dubious when asked about a release window for the patch. We can likely expect to find out more about Vulkan in the coming month as the Game Developers Conference swiftly approaches.